Can Waterford bridge the 58 year gap to win Liam McCarthy? In the second part of the All Ireland SHC preview this week, Hawkeye Sidekick runs the rule over Waterford. Do Waterford have the leadership, skill and composure to bridge the fifty-eight year gap since their last All Ireland SHC triumph? This season has had plenty twists and turns for Waterford both on and off the pitch. The NHL was a mixed bag truth be told. A morale boosting win over Kilkenny was the highlight but there were also reversals at home to both Dublin and Cork. The inconsistent form was captured perfectly in the NHL quarter final away to Sunday’s opponents Galway. Waterford were imperious for the opening forty minutes of the contest; an experimental side had Galway on the ropes and leading by eight points with fourteen minutes to go. Galway finished the game incredibly strong aided by Joe Canning and ran out winners by 2-22 to 2-19. Galway may have won but Waterford showed the Galway public of their prowess and something that Galway hurling supporters that I have met have eluded to; there is a nervousness in the air here in Galway given the performance produced by Waterford on that day. Plenty was expected of Waterford in the Munster SHC this season, a year to right the wrongs of a devastating Munster SHC final in 2016 where Tipperary exposed defensive and work rate issues to hammer the Deise in double quick time. Waterford’s preparation in the league was honed into the Munster Semi-Final but Cork were far superior on the day. The ten plus week break did little for Waterford as their lack of game time was exposed by a pacy Cork outfit who exposed Waterford’s middle third with an emphatic victory. Pundits start to hound on Waterford management and players; the argument to ditch their sweeper system was touted but Derek McGrath stood firm and the results after this provincial loss have spoken volumes. A confidence building win over a limited Offaly was the first step to redemption. The trip to Tullamore showed flashes of brilliance from Waterford in both the back and forward line before their significant fixture of their campaign; a duel against local arch rivals Kilkenny in Semple Stadium. This was an exhilarating contest. Waterford held sway for long periods in this contest but their tendency to drop back late to defend the lead back fired as Kilkenny responded with two quick fire goals to put the game into extra time. Waterford with a seven point lead with eight minutes to go had surrendered the lead, another Waterford team would have wilted and surrendered but the likes of Jamie Barron were not to be denied. The midfielder was superb in that extra time; scoring a quick 1-1 and with superb cameos from the usual suspects Gleeson, Walsh and Moran; Waterford avenged their loss to Kilkenny with an excellent victory. The hoodoo jinx was rid and the team moved forward with confidence. Next up was an El Classico derby tussle with rejuvenated Wexford in the newly revamped Pairc Ui Chaoimh. The All Ireland Quarter Final highlighted Waterford’s renewed confidence. Brick Walsh was outstanding early doors; scoring a great point and winning several frees which Mahony slotted over with the minimum of fuss. Austin Gleeson, Kevin Moran again to the fore and the cameos off the bench of Maurice Shanahan, Thomas Ryan and Brian O’Halloran ensured that Waterford had plenty in reserve, winning the contest by 1-23 to 1-19. A superb day was soured by the dismissal of Tadhg De Burca for a straight red card; a helmet infringement which was then appealed to the CCCC to no avail. Helmet pulls were a theme for Waterford this season. Bennett fell foul of the ruling after the CCCC found him guilty of the offense on video analysis immediately after their Cork Munster SHC loss serving a one game ban. The same punishment befell De Burca but Darragh Fives was outstanding in the sweeper role against Cork in the All Ireland SHC semi-final. The helmet pull offense reared its head again with replays of Austin Gleeson appearing to pull Luke Meade’s helmet off but no action was taken. However, further disciplinary pain ensued as Conor Gleeson saw red for striking with the hurl; a moment of madness from the player and will be a loss for the final this weekend. The win against Cork in the All Ireland Semi-Final showed everyone what Waterford are capable of when provided with space. The Damien Cahalane red card was a decisive moment in the contest but Waterford tactically got the fixture spot on. They nullified Cork’s youngsters. Coleman was given a torrid opening by Brick Walsh whose physicality under the dropping ball gave Waterford an early attacking platform. Fitzgibbon in midfield was nullified by smart game management from Barron, Moran and Gleeson. Fives commanded the sweeper role with efficiency; his game reading was on point and the Cork inside full forward had to work hard to even hold off the ball. The Cahalane card exposed Cork defensively and Waterford took full advantage thanks to the mercurial Gleeson who provided sublime skill for the first two goals and then produced a Roy of the Rovers moment soloing through the Cork rearguard to score a pivotal third. Barron was marauding in the final quarter and capped a superb display with a smart goal finish; well worked and rewarded his running from deep which Cork on the day could not handle. Waterford were battle hardened. Waterford had match sharpness. Waterford had game composure to close out the contest. Why are the ingredients to Waterford’s Liam McCarthy success? The tactics from Waterford will be to be defensively cohesive, nullify the threat of Joe Canning from open play and hope that their conditioning and speed in the last quarter will see them over the line. Given the weather conditions forecast, long range shooting looks problematic. Wet underfoot conditions meaning that long range shooting will be inconsistent at best. It will be interesting to see how Waterford deal with the Canning threat; will they assign a man marker or will they go zonal? Canning likes to move around the pitch in order to gain time and space. Darragh Fives may be assigned the role of stemming the flow of Canning, leave De Burca to mop up any aimless distribution to the Galway inside full forward line from half-back and midfield areas. For Waterford to win this weekend, the key quartet need to be on top form. Austin Gleeson needs to provide leadership and set the tone early with some early scores. Gleeson’s talent is undoubted but the disciplinary side of his play needs to be on point given his escape from disciplinary censure last time out. Brick Walsh has become a pivotal figure for Waterford this season as in previous seasons; his experience and ability to identify half-back line mismatches resulting in free rewards has setup Waterford’s attacking and scoring platform. A repeat on Sunday will be a plus for Waterford, expect Walsh to target the likes of Harte early in the puck-out duels. Kevin Moran’s work rate is sublime; after a slow start to the season, the DLS man has shone brightly. His flexibility to fill multiple positions in the middle third coupled with his ability to take a score from distance has set the tone which colleagues have followed. Barron’s threat from midfield is a real plus. Galway need to delegate a man marker on Barron who has the ability to win this contest on his own given his running threat from deep and goal-scoring prowess. Any lapses in concentration and these four players will punish Galway decisively. The midfield area also throws up an interesting scenario for Derek McGrath to solve. With the suspension of Conor Gleeson, reinforcements are required to complement Barron in the middle of the park. Several options spring to mind but Conor Gleeson’s relationship with Barron was excellent, a definitive loss for Waterford particularly in work rate and defensive ability to breakdown opposition attacks. What McGrath does will dictate the Waterford setup for this contest? The full back line has being solid this season; a potent Galway inside full forward line awaits this weekend so it will be interesting to see how the unit react if Galway’s distribution unlocks the sweeper system at times during the final. Galway have massive goal scoring threat with the likes of Cooney, Whelan, Flynn in the ranks. Noel Connors will look to command his unit with efficiency; goal scoring chances need to be cut down by Waterford similar to their win against Cork where they kept the Rebels scoreless. Squad depth off the bench will be a pivotal component to the final this weekend. Waterford have several attacking options who can come on, win possession and produce vital scores in the final moments. Shanahan, Devine, O’Halloran and Ryan have all provided notable cameos off the bench and it is an asset for Waterford that they hit four goals in their previous fixture to send out the statement to Galway that any defensive lapses will be punished. There is an air of confidence around Waterford ahead of this final, not over confident but the locals point to the bookies and are resolute in their opinion that the odds are incorrect (Galway are 2/5 on). I would be in agreement with them on the odds, this is closer than those odds suggest. Given the wet conditions forecast, the game looks like a tight affair on paper; defensive setups on top and this all points to a Waterford win. The final quarter will see squad depth tested. Waterford for me have the edge in the attacking options. Defensive options have being tested too, something that Galway cannot say. Greg Lally the only player to see any significant game minutes in the Galway back line. The stars of Gleeson, Moran, Walsh, De Burca are aligning, hitting top form at the time of year. It is time to put up or shut up. Waterford will be underdogs for many pundits but they are going to run this Galway side extremely close on Sunday. They were my tip at the start of the year albeit thought they would come through the front door as Munster SHC champions. This is a side who have smashed the Kilkenny championship hoodoo jinx and their performance over Cork was full of work rate, endeavor and game management when faced with fourteen Cork men on the field. Provided discipline is on point, no reason why the Deise cannot win this final and the sight of John Mullane’s equestrian skills down the Quays on Monday night! It promises to be a fantastic spectacle, let the best team win on the day. To start the piece, just cast your mind back to last weekend and an epic final where New Zealand got off the canvas at half-time to floor England with a dominant second half performance where their skill set won the day. Several sensational tries scored during the final; the video package is a fitting tribute to the Women’s Rugby on show. Several players come to mind during the tournament from the top three sides. New Zealand had numerous players of note. Brazier set the tone with several tries in the opening pool games. Portia Woodman was a try scoring machine. England had several standouts throughout the tournament. Emily Scarratt, Sarah Bern, Katy McLean provided sublime moments of skill to allow England to advance to the final. France were the more progressive team of the tournament and the young profile of the squad bodes well. Ladagnous was outstanding and the French expansive game plan when provided with quick ruck ball was a joy to behold. It was a case of what might have being for France in a bruising encounter against England in the last four. The fixture was abrasive and physical. England’s fatigue in the second half of the final can be contributed to this bruising encounter but New Zealand’s skill set was superior. Their mantra is to control the rugby ball, create with the rugby ball. Their cross field kicking in the final was excellent. Natua for me was the tournament standout; a hat-trick in the final. Enough said. Easy decision. Two tournament low points personally. The number of one sided contests in the competition will do little for the sport. Before the semi-finals, it was very much one way traffic in terms of results; form book went along boringly familiar lines. Hong Kong bore the brunt of some devastatingly heavy losses. You would wonder how this side recovers from this experience? They were not the only side to experience a mauling or two but to leak 121 points is another story. The organizers potentially might need to tweak the tournament so that teams are competitively handicapped and have a chance of winning some silverware. Proposal such as creating two pools of six for teams to play at their levels might be the way forward. Three separate competitions run in tandem during the tournament and allow all participating nations a chance of play in a RWC setting. The scheduling of the fixtures at times was incredibly harsh. England after a bruising encounter with France then had to face New Zealand four days later in the final. The second half performance spoke volumes; England had nothing left to give and despite fighting hard, they were second best. Ireland’s performance in the tournament has being a talking point since the tournament ended. The loss to France was predictable given shaky performances against Australia and Japan who were supposedly the weak team in Pool C. Ireland were lucky to beat Japan. The host nation support provided a warm welcome to all teams but the home team failed to deliver and a glorious opportunity was missed by Ireland to cement their place at the top of the Women’s Rugby table. Eighth ranked is an accurate reflection of where the team are. The media hype about the side on reflection and the possibilities of winning the competition were outlandish. The RBS 6N campaign indicated as much and with a back line who failed to fire, a pack who struggled on set piece; preparation was not on point. Tom Tierney has call it quits but Eddy also has questions to answer. The Ireland side looked extremely under-prepared for the tournament. The lack of cohesion at scrum half was glaring. To throw a rookie in the tournament was shambolic. The front row scrum was indifferent at best. The back row lacked the dynamism to break the game line and lost the breakdown battle. The back line apart from Alison Miller looked extremely second best and one wonders if the right personnel were drafted into the squad. Ireland Women’s Rugby is on the up; participation rates are soaring. IRFU needs to decide if they want to develop the women’s side of the sport. 2023 RWC bid will dampen any investment injections and perhaps there may be a dip in funding given the performance of the team in this tournament. Several proposals are required; considered development of the sevens game to identify and cultivate creative mindset. The side were bereft of a creative edge; blunt mauling pack tactic was the hallmark. The domestic club game needs to be examined. Is their an appetite for the Women’s Club league to switch to a Spring / Summer format? Weather conditions suitable for running rugby, creative attacking, superior skill set wins out. The harsh winter element focused game plan needs to be re-evaluated; an alternative game plan is required to complement the pack orientated tactic seen in this tournament. Decisions required. Two games come to mind. The final is obvious but I am looking for the semi-final tussle between England and France; a sublime test match where no inch was given. France threw everything at England in that opening period and for issues in the line-out, France could have won the contest. England emerged in the second half with composure and game management. McLean for me was sensational on the day. Her kicking was superb and drove France back. 20-3 does not do the game justice; a superb advert for the sport. Where Now for Women’s Rugby? Increased attendances. Increased television coverage and viewership bodes well for the future of the game. There is a chasm in terms of the top three and the rest of the teams. Canada and USA will argue that they are also in this grouping but they were found out when the business end of this tournament took place. The tournament needs to run for longer than the seventeen days this year. It did little for player welfare. Four week tournament is the prerequisite. The decision on various competitions running in tandem during the tournament needs to be explored as a matter of urgency. Little excitement until the semi-final stage. For people to call the tournament as a success on the pitch must not have seen the majority of the pool games. England’s team now go back to amateur status; their professional contracts have terminated, a sad development for the game. Can a global tournament run throughout the calendar year or even more Women’s fixtures to play games before the men’s fixtures? Anything to provide attention to the sport is a good thing. The scoreline was kind to Kerry. A rampant Mayo middle third set the foundation early to secure an All Ireland football final appearance next month. Hawkeye Sidekick reflects on the action, a result where Mayo put the Kerry championship hoodoo aside and one more game to potential Sam Maguire glory. The perception during the lead-up to this replay was that Kerry would make the necessary adjustments to offset the Mayo threat from the first encounter. The assumption was wide off the mark as Kerry struggles continued to struggle in the areas that were highlighted last week. The first sign of trouble within the Kerry ranks was the decision to introduce war-horse Donnacha Walsh in the Kerry half forward line. Speculation in Kerry suggested that Walsh would be most likely not line out given his hamstring injury woes. The decision of Kerry management to select the player indicated that all defensive options were exhausted; Walsh was required fit or unfit. The move backfired and Walsh exited proceedings at the break. Advantage Mayo. Credit to Stephen Rochford and Mayo management who were under constant question from Mayo and national football pundits. They stuck to their convictions and fielded O’Shea to mark Kieran Donaghy again early doors. O’Shea fulfilled the role with more confidence this week and the goal threat apart from two goal threats in either half was non-existent. Mayo’s defensive setup were on point, great work rate and tempo and their physicality in the tackle was too much for Kerry’s attacking units. Mayo’s middle third again set the platform. Kerry’s midfield were routed on the long kick-out with Parsons and O’Shea enjoying prominent moments. The key was the pace and support of Diarmuid O’Connor and Kevin McLaughlin in the dirty ball stakes as well as providing scoring threat something not done last week. 1-2 from the half-forward pair and O’Connor’s goal was a critical strike to assert the territorial dominance of Mayo on the scoreboard. More of the same in three weeks is expected. The Mayo half-back line were dominant and the likes of Colm Boyle were sublime in defensive and attacking duties. Chris Barrett was solid defensively and allowed his wing backs to push further forward. Patrick Durcan energy from the bench saw Kerry further need to focus on defensive work. The sight of Paul Geaney in his own half to assist defensively spoke volumes in the first half. Mayo full back line and keeper were comfortable for long periods. Clarke in goals was point with his kick out strategy; availed of Kerry’s decision to retreat defensively. Easy kick outs to the impressive Harrison, Boyle, Higgins creating good attacking opportunities for the Westerners. The full forward line again were extremely dangerous. Jason Doherty’s work rate and movement off the ball was pivotal in creating space for Cillian O’Connor and Andy Moran who was superb again in open play. The decision to drop Mark Griffin did not yield any rewards for Kerry as the full forward pair continued to enjoy time and space. If Mayo had dream’t of the perfect afternoon, this was it. Kerry had no answers. Mayo advance to the All Ireland football final where serious questions will be posed by either Dublin or Tyrone. Game composure was not tested yesterday. It was a stroll for Mayo but they did the job well. This is a defining loss for the squad and management of this Kerry team. A side on paper with the skill set and caliber to contend for All Ireland honors this season but in various games this season, cracks have emerged in several Kerry lines. No significant answers to the questions posed and the result yesterday was no surprise on reflection. The goalkeeper situation is again under the microscope. Brian Kelly in these two Mayo games has lacked the authority in the square and his kicking game was put under pressure from the first whistle. His kick-out which went for a forty-five in the opening quarter was a blooper reel moment. Mayo latched onto his kick outs thereafter and Kerry struggled to create attacking threats further up the pitch. A clear problem area to address. Kelly will be disappointed with the first goal as well as Diarmuid O’Connor showed the more conviction and hunger to punch the ball to the net. The full back line have being unconvincing this season. Galway showed in the All Ireland Quarter Final and Cork in the Munster SFC final that this Kerry full back line when quick ball was distributed that this line struggled. Goal chances were missed by both teams but credit Mayo for implementing the tactic. The Mayo half forward line and Jason Doherty created the space, quick ball inside and the results were devastating. Mayo’s second goal was a prime example; good attacking play and swift passing exchange between Cillian O’Connor and Andy Moran to score. The game was over as a contest. The full back line consistently second best to their opponent. Young tried hard to support his colleagues but it was a forlorn battle. Alternations required. Full back a top shopping list item. The half-back line are not immune to criticism. They lacked defensive conviction in these Mayo fixtures, leaving massive space behind for their much maligned full back line to deal with. Morey worked hard but as a half-back, not sure if that this was his position. The sweeper system was chaotic in implementation. Paul Murphy attempted to fill the role against Mayo but robbing such an attacking threat undermined Kerry. Donnacha Walsh’s absence was huge and other half-forward options could not fill the role that Walsh fulfills. Crowley’s discipline again surfaced with an early bath in the second half; the ultimate final nail in the coffin. A defensive line which lacked leadership, poise and physicality when required. A stark contrast to when you consider the likes of Marc / Tomas O’Se, Aidan O’Mahoney in the ranks in recent years; leaders of men who put their bodies on the line, did not get the same impression from this current crop defensively. Midfield area was a disaster for Kerry. The quality undoubtedly in the ranks is there but Mayo’s mobility in the area was a pivotal factor to this success yesterday. Moran had moments but was far from influential in attacking play. Jack Barry is a player who will continue to progress but this was a game which required leadership in the middle of the park. Anthony Maher would have fitted the bill; experience and leadership in abundance. Dry ball day and Maher could have provided composure particularly in the opening period. A clear mistake from Kerry management. The forward line unit struggled for cohesion throughout against a Mayo defensive system that never gave a Kerry forward player any time and space. Only Paul Geaney and Kieran Donaghy (first Mayo game) can come out of these fixtures with any tangible credit. O’Donoghue’s early season promised evaporated under the immense pressure of Mayo defensive work. The impact off the bench was minimal. Jack Savage carried plenty but no cutting edge and Darran O’Sullivan’s cameo was short and brief with a needless black card. Mayo’s focus then turned to Star and they defended the long ball threat admirably. A season which offered plenty for Kerry culminating in a NFL title has now being reduced to rumble. The Kerry underage conveyor continues to churn out quality inter-county talent but the side is lacking leadership and organization. A change in management maybe required; tactically one dimensional and the squad depth was hit and miss. Barry John Keane surely should start more games. Several key issues to be addressed for Kerry in the off-season. They are even further behind Dublin this season compared to last season. An intriguing off-season beckons. All to play for at Croke Park in the All Ireland Senior Football Championship. After the epic excitement (much needed may I add) of Mayo and Kerry last weekend, this weekend hopefully will see more superb action from probably the four best teams in the country. Hawkeye Sidekick casts his eyes on the fixtures. Depending on who you might have met this week, the prognosis for the replay was varied. Do Mayo have another couple of tactical surprises up their sleeve? Can Kerry rectify the massive defensive space in front of a vulnerable full back line? Can Mayo deploy a different player in the full back spot to contend Kieran Donaghy? Can Kerry provide enough ball to allow O’Donoghue to become a major game changer at the weekend? I feel sorry for Stephen Rochford. The comments post-game on RTE were incredibly harsh. Mayo have a problem in the full back berth. Ger Cafferkey has being their only option in recent seasons and his record against Donaghy has being a mixed bag. Aidan O’Shea and his deployment to the full back line was a surprise but it worked to a certain degree. O’Shea’s aerial ability negated Kerry’s game plan to launch high ball into the Mayo full back line. The weather may have negated that tactic but O’Shea in the full back meant that Kerry had to reassess their game plan. Rochford perhaps could have taken the Breaffy clubman further up the pitch in the closing minutes to see if he could conjure a game winning moment. However, if he did then there would be a question on how tight defensively Mayo would have being. Rochford has a couple of decisions to make ahead of Saturday. The O’Shea tactic is probably off the table this weekend so who will Mayo management entrust to quell the influence of Star? Vaughan has being touted but the player is walking a disciplinary tightrope as a black card will leave him unavailable for the All Ireland Football final. The options are limited truth be told. Who can provide the aerial prowess and speed in ground exchanges to protect Clarke in the Mayo goal? Keane would have being an alternative. Can Seamus O’Shea adapt to the full back slot or will Mayo go zonal and look to the likes of Higgins, Harrison to nullify the danger. Compelling stuff. Patrick Durcan will be pushing for a starting berth after a prominent cameo last weekend. Boyle was industrious and threatening in attack but was hauled off long before the final whistle. Lee Keegan at half-forward did not work and Mayo management need to deploy the Westport club man in the wing back berth where he can exploit his pace and running from deep to create issues for Kerry defensively even more so if Donnacha Walsh is unable to line out. The Mayo half-forward line should have being the talking point for Mayo pundits post-game last weekend. No scores from this unit and their impact was minimal. Tweaks are required on the unit. Diarmuid O’Connor works hard but little return from play. Kevin McLaughlin showed flashes but his work was far away from goal. These players need to come out and provide attacking assistance to the full forward line where Moran and Cillian O’Connor threatened throughout. The half-forward line can argue that they left space for the full forward line to shine but this unit needs to pick up the scoring duties; otherwise Mayo will look one dimensional this weekend. Kerry will be happy to come away from last weekend with a share of the spoils. Defensively all at sea in the opening period. Fionn Fitzgerald will fancy his chances of a recall. Mark Griffin is a superb footballer but is he really a full back? His pace and athleticism reminds me of an AFL player; his ability and football skill range suits him more up the pitch. The full back line was left exposed and the half-back line must do a better of cutting out the supply. Morley was prominent but defensive was moved all over the pitch resulting in massive gaps for Mayo’s outside players to distribute to Moran and O’Connor inside. A sweeper behind the half-back is a viable option and do not be surprised if Fitzgerald is asked to game read in front of the full back line. The midfield area for Kerry was a mixed bag. David Moran and Anthony Maher struggled for supremacy against Mayo’s Tom Parsons and Seamie O’Shea. The weather conditions exposed mobility and speed issues on a slick surface and it was only when Barry was introduced that Mayo’s midfield area were asked serious questions. Barry surely will be included. The question is whether Kerry management look at a potential dry ball day and look to Maher and Moran to right the wrongs of last weekend. The unit lacked cohesion and shot selection at times was poor. More will be expected from Kerry in this area but was not helped by Walsh’s absence. His influence and work rate were missed. Walsh and his defensive work rate was badly missed for Kerry in the first twenty minutes when Boyle was prominent in attacking positions. Michael Geaney struggled to get to the tempo of play and was caught out in defensive duties during this time which prompted Kerry management to call on Savage who steadied the ship. It was a game which Kerry required; their road to this point has seen precious little in competitive fare. Clare, Cork and Galway in small periods posed problems but the Kingdom were never put to the pin of their collar for the full seventy minutes. Mayo did though last weekend and it will be interesting to see how Kerry react and adjust to Mayo’s main threats. It is a superb fixture in the offing. Mayo’s resiliency is unmatched and the footballing neutral will hope that they get over the line. The replay fixture for me has one key question: who has more scope to improve? The answer is Kerry and suspect that their adjustments will be pivotal to a close 3-4 point win. Mayo are in tactical limbo when dealing with the Star threat. Aidan O’Shea deployment to the full back line robs Mayo of attacking threat further up the pitch. With dry weather conditions, expect the likes of Geaney and O’Donoghue more prominent. Mayo had opportunities early doors to win this fixture but failed to do so. This will come back to haunt them come 5pm on Saturday. Kerry are far from the perfect team but their squad depth looks stronger to fill the gaps and issues which surfaced last weekend. An interesting game but one that Kerry will relish. Star and O’Donoghue to spear-head this Kerry victory. Where do you start on this fixture? The open scoring cameos of Saturday afternoon will be extinguished on Sunday afternoon when Dublin face Tyrone whose defensive setup will pose serious issues for Jim Gavin’s men. Dublin’s team selection debate will focus on Diarmuid Connolly and whether the star player is named in the starting lineup. His suspension is served and his ability to shoot from distance is a massive positive for the Dublin team. However, who will someone like a Paul Mannion react to being dropped to a player who has not featured for the majority of the summer? Squad morale issues to be taken into account. Dublin defensively have being on point without having to show all their tricks. Cluxton is still the de-facto blueprint in goalkeeping and his distribution continues to be on point. The full back line has being solid. Cooper and McMahon have provided the leadership, physicality and aerial nous to combat the threat from all comers this season. The half-back line has being on point. McCarthy and McCaffrey’s attacking threat and pace has being a standout for Dublin this season; their overlaps causing chaos for opposition back line units and both players have contributed on the scoreboard. Cian O’Sullivan though is the fulcrum for this Dublin side; his game management intelligence, game reading and organizing his colleagues defensively is a joy to watch at times. Dublin have rarely looked in trouble defensively this season and it is down to a good extent to O’Sullivan and his sweeper / defensive organizational traits. The Dublin midfield area has being on point all year. Brian Fenton continues to develop and grow into the position. His aerial ability from Cluxton kickouts as well as his ability to support his forward line colleagues has left opposition midfield units bereft of energy in the last quarter of games. The Dublin forward line have scored extremely heavy this season; distribution to the inside forward line has being sharp and precise. Andrews for me and his movement sets the tone. His selfless runs creates opportunities for the likes of Mannion, Callaghan and Dean Rock who has reveled this season. The squad depth in the forward positions is huge with the likes of Bernard Brogan and Paul Flynn waiting to come on and make an impression. No genuine weak links in this side and Tyrone will need to produce their best ever championship display this season to upset the odds. Tyrone’s big question is how battle hardened are they for a contest of this magnitude? Convincingly beating all Ulster teams this season well before the final whistle, it is difficult to really scrutinize their performances. The key trait is their defensive work; their ability to suffocate the opposition ball carrier to either over-carry or cough up possession is sensational. Tyrone’s ability to then counter attack with pace and power from deep is amazing to watch. The running lines on offer for a Tyrone player with possession is incredible; at least three options to pass the ball to and if Dublin lose possession in the middle third, they will be under severe pressure defensively to combat the threat posed. The Tyrone talisman that is Sean Cavanagh will need to provide leadership and support to a forward line unit who have shown flashes of brilliance along with moments of mediocrity in some wasteful possession and shot selection. The threat of Tyrone’s full forward line will be key on Sunday. With space at a premium, can Tyrone create goal scoring opportunities to win this contest? They need to score at least two goals personally to upset the odds but I don’t see that happening. Peter Harte will be asked to produce superlative game winning moments. The officiating of the tackle as well will be a key point. Tyrone have the tackle down to a fine art and it will be interesting to see how the match officials deal with this aspect of play. If early frees are conceded by Tyrone in defense, will they adjust their tackling accordingly? It is a fascinating aspect to the game. Tyrone likewise will look to periodically push up on the Dublin kick-outs. When they do, they need to make it count; otherwise Dublin could spring fast attacking moves to kill this contest off. A game where defenses will be dominant. The long distance shooter will be pivotal on Sunday and I think that aspect of play is with Dublin. Tyrone will pose serious issues to Dublin’s title credentials but think Dublin will shade this by 2/3 points. Questions will be posed of Dublin post-game and provide hope for Kerry or Mayo in the All Ireland final. An intriguing weekend of football action beckons. The tournament moved to Belfast this week after a successful opening week in Dublin. The games today were well supported considering the inclement conditions. It was a day where Ireland’s tournament hit rock bottom with a comprehensive thumping from Australia, England and New Zealand advancing to the final with two contrasting encounters. Hawkeye Sidekick reviews the action. It may have ended 36-24 to Australia but let us face the reality from an Ireland rugby fan perspective that the host nation were well and truly put to the sword today. Hats off to Australia, their management and players made the necessary adjustments today to win with ease. Improved clear out work at the breakdown setting up excellent ruck ball was evident from the first whistle but the decision to target the Ireland outside channels also caught the eye with devastating effect. The Ireland video analysis session tomorrow will be a horror show; indecisive defensive reads from the three quarters, increased miss tackle count. Williams, Murphy benefited from the latter tactic and was just reward for Australia who dominated the territorial battle throughout. Ireland’s game management was ponderous at best and poor decision making resulted in Australia further imposing their will on the game. Ireland could not be faulted for work rate but the weak points were gaping. Set piece was inconsistent. The scrum fared better today but was required in earlier rounds. The line-out, an area of great potential struggled to create the platform for Ireland to attack. However, Ireland’s attack was blunt at best. One out runners, little invention from the half backs. The three quarter attacking threat was unfortunately non-existent and Alison Miller was the only standout. Her try today was the high point of the tournament for Ireland. Invention at least from Murphy to spot space out wide, kick was executed to perfection but Miller had plenty to do but the winger beat several Australian players to score an inspirational score. Australia were comfortable today. They have progressed well as a group, their management have made the adjustments. A team who will qualify for the next WRWC tournament. Canada may be a step too far for Australia but it has being a tournament of positives for Australia. For Ireland, it has being a soul destroying experience. The host nation advantage suddenly turned into a disadvantage as the team’s limitations were exposed. The team struggled for cohesion throughout the side. Briggs was a loss but let us face facts, the team would have struggled even with the full back in the team. The issues on the pitch reflected badly on management as the team lacked any identity. The side looked under pressure from the first whistle; siege mentality in full view. Ireland need to reflect and identify players for the future who can provide invention, creativity and rugby skill set ability to get the side to the next level. Ireland have regressed since the last World Cup, the ranking of potentially seventh is an accurate assessment. I am being disingenuous to the Welsh as the game right now is 50/50 call given Ireland’s inconsistent displays. Ireland need to refocus and perhaps new voices in management is required to hone in on the forward and back line deficiencies seen in this tournament. Tom Tierney has tried his utmost but the lack of direction on the pitch from Ireland has being a talking point. Reflect and move on for all parties. The two form teams of the tournament are now in the final. Saturday should be a superb occasion and hopefully mother nature can smile down and provide a dry day to highlight and showcase these two team’s vast skill set. Their semi-final fixtures were contrasting. England safely negotiated the threat of a France side who have caught the eye with some sublime performances. 20-3 does not start to do this game justice. Abrasive, physical, no quarter given. England had to survive a massive France opening half effort and used their experience in the second half to hemp France deep in their own half to create the scoring opportunities to win the contest. Bern was superb for England. Her set piece was on point, ball carrying was immense and her try was a game changer. McLean and Scarratt were pivotal figures for England providing the game management and creativity to keep France on point. England got the game they required; they are now battle hardened and England management have seen the team cope admirably to the French pressure. France left everything on the pitch but they lacked cohesion at vital times; thinking of the lineout on England’s line. France’s lineout malfunctioned massively tonight, credit to England but there was also mistakes from France in this. Crucial mistakes and let England off the hook. Portia Woodman. Try scoring machine. Portia Woodman. A try scoring machine. Just the thirteen tries for the mercurial winger. USA were put to the sword early today as they were overrun in the pack in the opening period. The scoreboard did not reflect the dominance but USA’s tackle count was evident in the second half when Woodman scored on several occasions. New Zealand can point to a competitive opening period but in all honesty, forty minutes of intensity is not the preparation for New Zealand as they face England on Saturday. USA tried hard but as in their previous pool encounter against England, they are some way behind the top two teams in this tournament. Defensive weak points were ruthlessly exposed in the final quarter, lessons will be learned and USA’s progression in the competition can only be a good thing for the sport. New Zealand look ominously placed. Two titans will battle it out on Saturday and I cannot wait! The one disappointing aspect to this tournament has being the one sided results. Today was no exception. Look at the results today in the playoff spots. Hong Kong, Wales, Ireland, Japan, USA all fell to heavy losses. There should be competitive final game encounters but the pool phases apart from Pool C were boringly predictable. Does the WRWC need to cull teams for the sake of the tournament? No-one wants to see Hong Kong humiliated game in, game out. The tournament has being well managed and run by Ireland. Supporters have shown up in good numbers but the competitiveness of the majority of the games has massively disappointed. England and New Zealand are the top teams. France are chasing them. Canada and USA then follow but after that there is a big chasm that has opened up with the rest of the competition. WRWC powers that be have food for thought once the tournament reaches its climax at the weekend. Two contrasting All Ireland U21 Hurling semi-finals this evening at the sublime surroundings of Thurles. Kilkenny hardly broke sweat in a fifty-two point victory over a hapless, confidence derived Derry outfit while Limerick battled through an excellent encounter against a Galway side by four points. Hawkeye Sidekick reviews the action. I think for the organizers of this superb tournament, it is time to reflect and review the structures of the championship. I am thinking of teams such as Cork, Clare, Tipperary, Waterford, Dublin, Wexford who have exited the competition and what they must have thought of the opening semi-final on show today. It was a deplorable advert for the competition. A completely mismatched Derry were up against Kilkenny eager to produce a performance. The results were devastating as the game was over as a contest within six minutes. Kilkenny scored at will. Shane Walsh had the proverbial field day, given ample time and space to shot and scored 2-7. Eddie Brennan and Kilkenny management will have learned nothing from this outing. All lines were far superior to Derry who were second best in all facets of the game. 8-35 is a scoreline which will do little for the development of hurling in the county. Only McKeever and Doherty in the forward line came out of this outing with any credit. The back line were scorched on numerous occasions and lacked any cohesion defensively to keep the scoreboard down. One of the biggest cheers of the day was heard when overworked Derry goalkeeper Francis McEldowney was called ashore in the second half. The Slaughtneil net minder was busy throughout and had a torrid afternoon as the Kilkenny full forward line rampaged through on numerous occasions. His puck out strategy was mission impossible. No one in a Derry jersey looking for the ball and the clearance up the field was more usually than not cleaned up by Kilkenny’s middle third. I felt sorry for the player and the team; it was a horrendous experience at Semple Stadium. I don’t blame Derry. They won the Ulster championship with a stunning victory over Antrim and Down in the final. They are entitled to be competing for All Ireland honors like any country in the top tier grade but Derry are not a top four U21 hurling team. They are not in the top ten U21 hurling team in the country. The tournament unfortunately needs a serious revamp. A game which exposed a massive gulf in class and a game which hopefully will look at some of the issues as to why this was so one sided. You could conceivably introduce the All Ireland Quarter Final phase to the competition if the super eight format cannot be implemented for this competition. The runners up of Leinster and Munster advancing to the All Ireland Quarter Final where they would face off against either Galway or the Ulster champions. It would lead to more competitive games in the All Ireland semi-final stage; 52 point win at this stage does little for the competition. All Ireland semi-finals should not be this lop sided. Kilkenny advance to the All Ireland final with some team selection posers ahead of the final. The sub bench impact was evident in some standout performances for Walsh and Murphy. The lack of intensity in this contest will do little for Kilkenny against a battle hardened Limerick in September. Brennan will hope that the A vs. B games are on point, players on form ahead of the All Ireland final. Kilkenny will enter the final knowing questions will be asked of them. Kilkenny management will think on their feet during the final and have backup plans finalized as today’s match proved nothing. 2-23 to 2-19. The scoreline speaks for itself; an exciting second All Ireland semi-final against a Galway side who were let down by a lack of championship action in the closing minutes. The Tribesmen started well and should have had more points on the board in a dominant opening. Conor Whelan was a constant threat throughout and Galway opened up a two point lead early doors. It should have being more and were punished as Peter Casey scored a goal for Limerick after ten minutes. The goal settled down Limerick who then produced their best period of play in the first half scoring several excellent scores. The usual suspects for Limerick in the forward line were on point with Gillane, Casey, Murphy and Nash to the fore. Galway to their credit came roaring back at the end of the half and took advantage of some Limerick defensive lapses. Limerick were also guilty of some ponderous distribution from the back; aimless hit and hope efforts the order of the day in the closing ten minutes of the half; it was duly punished. The officiating on show left plenty to be desired. Keenan allowed the game to flow but there were some debatable moments as Barry Nash’s helmet was hit while on the ground and then a Galway hurling helmet mysteriously was removed and thrown to the ground. No action taken. Both sides felt aggrieved on a couple of frees not given. Conor Whelan was a standout for Galway throughout; enormous work rate and led by example. Linnane stood out and nullified Kyle Hayes who had a mixed second half. Monaghan at wing forward was winning good ball from puck outs. Limerick responded and the ever dangerous Barry Murphy finished off a sweeping move to open a five point lead again for the Shannonsiders on forty minutes. Both teams were deploying a sweeper system but you would not know it as both teams were engaged in a classic end to end shootout. Galway refused to panic to the second goal concession and with Whelan in the ranks, goal opportunities were always a danger for Limerick defensively. Whelan was the instigator of the opening Galway goal; took advantage of Limerick’s inability to clear the ball and ran deep into the Limerick defense; his shot was superbly saved but Jack Coyne was in the right place to dispatch to the net. The second goal is probably a leading candidate for U21 Hurling goal of the season as Whelan produced a moment of magic to put Galway two points up with fifteen minutes left. A powerful run and a sensational strike. Limerick defensively in the lead up to the goal will be a video analysis awkward moment. Finn and Lynch had chances to clear but did not and the results were devastating. Galway now were asking the questions of Limerick. The hotly fancied Limerick outfit (1/6) were now behind by two points (2-15 to 2-13), time for players to stand up and be counted. Step forward Aaron Gillane, Cian Lynch, Barry Nash and Peter Casey to hit some vital scores. Gillane was unerring on free taking duties but his running was too much for Galway defensively in the closing stages. How the player did not feature for the Limerick Senior team this season is baffling? The lack of championship minutes for Galway this season was evident in the last ten minutes. Galway players started to fall off the tackle, players going down with cramp and Limerick took full advantage. Limerick management must be credited with some tactical switches. LeTouche Cosgrove steadied the Limerick full back line upon introduction. Hayes stabilized after a shaky twenty minute period in the second half with a stunning long range score and finished the game strong. Cian Lynch was roving and picking up loose ball. Hanley in midfield was ever willing to run from deep and take shots from long range. Limerick will look at the closing moments and reflect that they should have made the game safe long before the sixth minute of injury time. The side were guilty of several poor misses after good setup work. Limerick need to improve their composure and game management leading into the final. This was a hard championship contest; physicality and skill in full view. Limerick management witnessed good moments in the attack and defense but there were periods of poor play from both lines. Consistency is not yet achieved. Battle hardened, most certainly. Kilkenny on the other hand is debatable. Galway defeated and will rue some poor shot selection early doors. They left everything out on the pitch. Mooney at half-back was superb. Lack of championship action ultimately undid the Tribesmen. If they had a competitive game under their belts before today, feel the game could have easily gone in Galway’s direction. GAA need to revamp the competition. The format is doing little for Galway or Ulster at this stage of the championship. Time to reflect for the benefit of hurling supporters and most importantly the teams. I think it is fair to say that the 2017 Women’s Rugby World Cup has being fully embraced by Ireland; excellent crowds, superb atmosphere and all teams extremely complementary of the hospitality and tournament linguistics provided so far. The front runners have flexed their muscles, the hosts have struggled for form and continuity while the tournament is over for several teams already. Hawkeye Sidekick reflects on the action so far. This pool on paper looked quite straightforward and unfortunately, that is how it has unfolded. Wales to their credit have tried to compete but they have being ultimately being outgunned in forward and back play. Hong Kong’s experience in this tournament would be best described as traumatic. The 98-0 and 121-0 losses have being soul destroying and really made a mockery of the leading tournament try scorer competition. 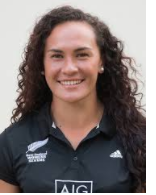 Portia Woodman looks destined for the crown after her emphatic eight try haul yesterday against the hapless Hong Kong side. The tournament has to provide a better product than what has being seen in this pool so far. Wales to their credit competed well but were beaten by an abrasive Canadian outfit. The real tournament for the table toppers starts this Thursday when New Zealand and Canada face off; a game of real quality beckons. Both sides look odds on to be in the semi-final mix given their try count statistics but it will be interesting to see who prevails to be the main threat to England in the knockout rounds. The scandalous decision to schedule this fixture at 12pm on Thursday will deny many rugby fans a superb spectacle. A glorious opportunity lost by Women’s rugby to showcase the game in an exceptionally competitive encounter. England look ominously placed to retain this World Cup crown. They have accounted for Spain and Italy with the minimum of fuss, using the fixtures as an opportunity to give all squad members good game time in preparation for tougher challenges ahead. This pool again has exposed a gulf in class with the teams. Italy and Spain have tried hard but their skill set and organizational breakdowns have being gaps allowing England and USA with the chance to put up good scores. The final pool fixtures should be competitive. USA will look to upset the odds and take down England but given the performances so far, you cannot see England slipping up. They are too strong in all facets of game. The fixture should act as good preparation for England for the semi-final round. USA will look anxiously for other results to see if they advance to the top four. A tall order given their try count differential compared to a Canada / New Zealand at present. USA impressed yesterday with some eye-catching tries showing a threat out wide with Tapper a constant threat. The key battle will be the pack. USA showed their physical dominance against Spain with a penalty try but they are facing a different outfit in England who pride themselves in set piece execution. An exciting encounter hopefully but England will look to send out the signal to all comers that they are the favorites to retain the trophy and win with something to spare. England to win by fourteen points. USA to have to make do with a playoff appearance, progression made but more to do. 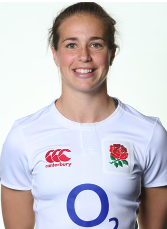 Emily Scarratt has being sublime in the opening two games, a viable candidate for player of the tournament already. The Ireland fixtures so far could be best described as cliffhangers. On paper, Australia and Japan should have being fixtures where the Ireland ladies would have being expected to win with something to spare but the team have struggled for form and let us face it were incredibly lucky not to lose to a gallant Japan outfit yesterday. 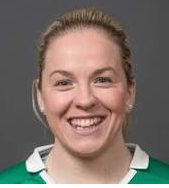 Niamh Briggs has being a loss; her leadership, kicking game and ability to come into the line with ball in hand have being missed but it is not the main reason for the Ireland under-performance. Ireland have struggled this calendar year for cohesion; their RBS 6N tournament record was a mixed bag and it has continued in this tournament. The pack has struggled for cohesion throughout. Scrum dominance was sought in the first two fixtures but it never materialized and with the decision to replace the front row unit on duty against Japan at half-time yesterday indicates a management team who do not know their best front row unit. Worrying signs ahead of a showdown against France. The back line has failed to fire as well. The speed of pass has being poor and the half-backs need to be more decisive with ball in hand. The loopy slow pass to the three quarters and wings has done nothing to inspire confidence that these systematic issues will be ironed out for Thursday. Tom Tierney and Ireland management have massive issues to address and the prospects of facing a confidence French outfit does not bode well. France have being the form side of this pool with thumping victories over Japan and Australia last night where they won by a scoreline of 48-0. France have provided excellent phases in the pack and the back line. They have mixed up their game plan perfectly which Japan and Australia have struggled to contend with. Pelle and Mignot have being standouts for France and more of the same unfortunately looks likely against Ireland this week. Ireland are battle hardened but their performances so far against teams that they should be beating with relative ease has also suggested that certain squad members are struggling with the occasion; basic errors in ball handling all too evident and the one dimensional attacking lines indicating a lack of confidence among the group to execute. The home crowd have being extremely supportive but the team have wilted under the pressure of being hosts; no denying it after yesterday’s display against Japan. Ireland know that only a win will suffice in reaching the semi-finals. It will be disappointing if they do not make the top four cut but the performances have lacked the cohesion, structure and execution required so far. Hoping Thursday will be a different story but it will take a massive improvement coupled with a dip in French form to make this a reality. France for me to advance. Ireland to make do with a playoff fixture in Belfast. After the drama of last weekend, this weekend sees the second All Ireland Senior Hurling semi-final with Munster kingpins Cork facing a Waterford side who have steadily built confidence through the qualifiers. Hawkeye Sidekick previews the action. How have Cork managed the five week break? A key factor in the lead-up to this fixture. Several provincial winners have failed to adequately manage the extended lay-off and the performance has dipped. Cork will know too well on their experiences in 2014 when they arrived to Croke Park in confident mood only to be turned over easily by Tipperary. The side failed to turn up and were second best in all facets of play. The opening exchanges will be crucial to see if Cork can get to the pitch of the game. If they can, then they are in a great position to win the contest; otherwise it could be an arduous afternoon. Plenty of pregame notes have being associated with the appeals of Tadhg De Burca who is looking to be available for selection this weekend. The incident during the Wexford win was unfortunate. The helmet offense was missed by the referee and linesman but after Kehoe’s protests, the incident was discussed and a red card issued. The fact that the CCCC are not planning on taking any action on Adrian Tuohy should mean that De Burca prospects of playing at the weekend are better than 50/50. Bennett’s suspension was down to television replay. De Burca was penalized by match official Fergal Horgan which is a huge factor in the subsequent appeal failures. The inconsistency of officiating the offense in recent weeks could be a telling argument for De Burca in the coming days. De Burca’s role with Waterford is pivotal. He has honed the sweeper role to perfection and his distribution from the back is on point. Derek McGrath and management have no doubt identified a backup for the player in the last couple of weeks (Fives comes into the picture) but it would be huge blow if one of Waterford’s defensive cogs is suspended. Advantage to Cork if the suspension is upheld. Do Waterford have the sufficient goal threat to win? This point is not supposed to slight the Waterford forward line. All players are standouts but for Waterford to get to the promised land (Liam McCarthy glory), more goals are required from the full forward and half-forward units. Cork’s back line have played superbly well in this season’s championship. Their pace, power and organization exposed a limited Waterford forward line effort in the Munster SHC. Damien Cahalane and Mark Ellis have formed a solid central defensive core and with the ever reliable Anthony Nash in goals, goal scoring chances have being at a premium. Waterford will look to Brick Walsh, Austin Gleeson and Kevin Moran to provide the platform in attack. Walsh in particular shone against Wexford; his opening cameo which included a superb long range point and winning several frees converted by Padraic O’Mahony were decisive contributions. Mark Coleman, Mark Ellis and Chris Joyce as a half-back line have being stellar all year. It is going to be a fascinating tussle with the the likes of Austin Gleeson, Brick Walsh and Kevin Moran in opposition. Their precise passing out of defense with multiple running options has being a joy to watch and Waterford will need to counteract these runs at source meaning that the forward line units will need to put in a serious shift without the ball. Back to my original point, Waterford have talented inside full forward line options. Bennett, Shanahan, Curran, Devine, Dillon could easily become game winners this weekend if provided with the right distribution. At times, the distribution into the full forward line has not adequate; perhaps due to the fact that Waterford dropping players deep down the field. Waterford need to show different sides against Cork. If they go to prototype and deploy sweepers with minimal full forward line presence, Cork have the edge given their ability to take points from long range. I want to see Waterford at times take off the shackles and push up on the Cork puck-outs, push players further up the pitch to support their full forward line. Whether this happens is a different question but they need this dynamism to get over the line this weekend. Can Jamie Barron provide Waterford the platform for victory? Jamie Barron is such an important player for Waterford in the middle third. His contribution in the extra time victory over local neighbors Kilkenny oozed class. His energy was too much for a stretched Kilkenny side defensively and his superbly well taken goal was a fatal blow for Cody’s men. Barron’s performance will indicate how Waterford are faring. If Barron is prominent in open play, Waterford will be in the ascendancy and Cork’s midfield of Cooper and Fitzgibbon having to dedicate more time to the defensive side of their play. Cooper defensively has being on point this season. He will be trusted to track Barron’s runs from deep in order to allow Charleville native Fitzgibbon to create attacking opportunities running with the sliothar from deep. It is an area which will be eagerly anticipated. The tactical nous and management decisions to close the other opponent in this area of the pitch will be a talking point post-game. Can Cork beat the Waterford sweeper system? Cork have at first hand seen Waterford’s defensive system. Cork flew out of the traps in their last encounter against Waterford and never looked back. Lehane, Harnedy, Horgan were immense on the day and Cork will look to these players to hit quality scores from play. Alan Cadogan’s emergence in the Munster SHC final is a real asset; his goal and points spoke of a player in the peak of their playing form and confidence. Waterford will attempt to snuff out the quick ball going into the full forward line of Harnedy, Meade and Cadogan. All Cork inside forwards possess massive pace and ability to create goal chances from nothing. If Waterford do successfully quieten the inside full forward line threat, Cork have a talented half-forward line to take scores from distance. How Waterford manage the running game of Cork will be a key element to this fixture? Lehane, Kingston will look to get involved early; if this means venturing into Cork’s back line to get ball and running with intent so be it. Do Waterford assign man markers to Lehane and Kingston in this case? Zonal defending is a risk and with Lehane lethal in open play this season, it is an area of concern for Waterford ahead of this tussle. How will Derek McGrath combat the threat posed by Anthony Nash’s puck out strategy. The Cork goalkeeper has being sublime in his game time decisions with the ball. His range of distribution to either half-back, midfield and half-forward line has being on full display this season. The half-forward line benefited from Nash’s puck out during the Tipperary triumph. Nash then adapted to Waterford and Clare, varying his distribution to his defensive units and midfielders in space. Nash has being a vital component in Cork’s progression this season. The Cork puck out win percentage is due in no small part to Nash and his distribution. His unerring accuracy has given his colleague the opportunity to win clean ball. Waterford have more questions to answer on this facet of play. Another intriguing element to the contest. There are several underlying factors leading into this contest. How will Cork perform given their five week layoff. Munster SHC kingpins have traditionally found the All Ireland SHC semi-final hard going to establish tempo and flow; expect a shaky opening quarter from Cork but the lessons of 2014 will be learned to allow the Rebels impose their will on the game. Waterford need to start brightly. The first quarter personally is where Waterford could hit a decisive blow given that Cork could be slow to settle. Can Waterford hit an early goal to test Cork confidence? Waterford need to hit goals on Sunday. If they don’t, they will come up second best. The tactical flexibility needs to be shown by Derek McGrath and team on the pitch. Both teams come into this contest with good confidence. I have an inkling that Cork will do enough down the stretch to win this game as Waterford retreat further into their defensive setup. Cork for me by three / four points in a game which will make the purist tear their hair out. Cork’s ability to take long distance scores a decisive point. If Waterford can take off the shackles and put pressure on Cork defensively, they could easily win this game with something to spare but I fear they will stick the tried and trusted hence I am siding with Cork on this. A mixed off-season for the four Welsh regions ahead of the newly revamped Guinness Pro 14 league. Cardiff Blues and Dragons have or had financial issues hanging over them while Scarlets and Ospreys have moved to strengthen their squads. Hawkeye Sidekick casts an eye on the comings and goings in Wales. A summer of financial uncertainty for anyone associated with the Cardiff Blues. The decision of Peter Thomas to rein in his financial commitment has had immediate impact on the player recruitment. Marquee signing Franco van der Merwe from Ulster in the off-season looks like he will be offloaded before playing for the club. The news that Leigh Halfpenny joined Scarlets and not Cardiff Blues was a surprise considering the players linking with Cardiff Blues club. The player personnel issues have also being seen in the backroom staff. Billy Millard (head of player recruitment) left for family reasons while defence coach Graham Steadman has also left the club. Both staff members have yet to be replaced. The redevelopment plans of the Arms Park needs to happen to increase revenue streams outside of rugby; they are currently on hold at the moment and there was discussions with WRU on ownership which did not reach an agreement. Uncertainty is in abundance at the club off the field, sad to see. Hope the club is able to move forward soon. Three confirmed players have signed for the club. Franco van der Merwe arrived and now is being offloaded to London Irish. Jack Roberts arrives from Leicester Tigers. The center is a promising player. His work rate and pace are key strengths and with cameos for the Tigers means that the Blues have a player who is well equipped to the challenge of the Guinness Pro 14. Damien Welch joins from the Exeter Chiefs, a second row whose size and physicality will provide squad depth to the lock positions given the premature departure of marquee signing van der Merwe. Sion Bennett arrives from Northampton Saints, a flanker who will look to push for game minutes but will be up against it considering the existing back row options containing Williams, Navidi, Warburton. Two significant departures from the club. The excellent Cory Allen moves to the Ospreys is an intriguing development. The center player whose pace and try scoring ability is to the fore. A big loss for Cardiff Blues and a player who should feature further in the national side leading into RWC 2019. The versatile Jarrad Hoeata was a tremendous servant to Cardiff Blues; his ability to fill multiple positions in the second row and back row was excellent. Another loss to the club who moves to North Harbor in New Zealand. The other departures saw Marc Thomas move to Yorkshire Carnegie, Liam Belcher to Dragans while Cam Dolan and Pele Cowley were released. Six departures from the club so the question is whether Cardiff Blues can compete when the international fixtures take place. The current squad has several marquee names and should suggest that the team should be further up the league. Warburton, Navidi, Williams are immense back row options. Jenkins and Rees are still on the books and their front row guidance to young, up and coming talent can be only beneficial to develop the academy. Lloyd Williams at nine is a superb talent, his passing range and ability to spot defensive line gaps is always on point. The back line is full of talent with Jamie Roberts, Alex Cuthbert and Steve Shingler. The squad looks competitive but with the ever precarious financial problems at the club, will the board decide to raise further liquidity and offload some other prized assets similar to the van der Merwe deal? The club are at a standstill and until issues off the pitch are resolved, Cardiff Blues will struggle. A good European Challenge Cup combined with a competitive Pro 14 season are the objectives. International fixture windows will speak volumes on Cardiff Blues squad depth which is reduced; just outside the top three for me. It is all change down at Rodney Parade. Financial issues cast a shadow over the region early in the off-season but the region relaunch and the appointment of Bernard Jackman as head coach has created optimism in the camp. Jackman’s appointment on paper looks an astute appointment. I have already being impressed by Jackman’s viewpoint on the game and his twitter exchanges have endeared him to the Dragons fan base. Jackman will take his experiences from Grenoble and attempt to assist a Dragons squad whose young age profile is complemented with off-season signings of Gavin Henson and Zane Kirchner. Grenoble last season was a difficult time for Jackman as his side struggled early in the season. Jackman was not only to blame for the relegation but the budget size indicated that the club should have being challenging further up the table. The key marquee signings were the signatures of Gavin Henson and Zane Kirchner. Both players can fill multiple back line positions. Henson is an excellent footballer and will relish the chance of becoming a team leader in the squad. His game management at ten or twelve will prove crucial in addition to his feedback to up and coming squad players. Kirchner at Leinster was a superb overseas signing for the Irish province. Reliable, professional and committed to the cause, the South African will add pace and quality to the back three. His ability to play full back will be a valuable asset to the squad particularly in the international fixture windows. Liam Belcher and Gerard Ellis arrive to the club looking to create a positive impression to the Dragons management; the objective is to get game minutes so these signings are very much a work in progress at this time. Seven players departed the first team squad in the off-season. The significant departure was the exciting back player Tom Pyrdie who moves to regional rival Scarlets. Other players to depart Rodney Parade were Shaun Knight who moves to Bath Rugby, a prop who is well regarded and is a loss to the club. Nick Crosswell moves to Manawatu Turbos. Darran Harris and Craig Mitchell were released while retirement for T.Rhys Thomas. Transition is a keyword for the Dragons this season. New head coach who will look to implement key attacking and defensive components with the side; there will be breakdowns in each facet but the hope is that this youthful side can take some initial setbacks to improve as players and a team. Jackman will look for his side to become more disciplined in the set piece; quite a number of sin bins last season saw games slip away from the side. The conference will be tough given that Leinster, Ulster, Scarlets and Southern Kings are in the mix. The hope is that the team improve as the season progresses and for a lengthy run in the European Challenge Cup. A side whose speed and pace will be exciting to watch. Outside top three but competitiveness will be the key for this team. Last season and the business end of the season should act as motivation for the Ospreys. It all looked so good for the Ospreys prior to their European Challenge Cup quarter-final against Stade Francais. Flying high in the Pro 12 league. Imperious in European Cup action. It all fell a bit flat after a narrow defeat to Stade Francais and the form regressed thereafter with an unexpected Pro 12 loss to Treviso. The Pro 12 playoff loss to Munster was frustrating in the extreme; a good start but no scores on the board was then punished by Munster in the playoff semi-final. Ospreys are an excellent side; several marquee established names in the squad. Alun Wyn Jones is an incredible leader and second row. The back row boosts the likes of Justin Tipuric whose breakdown work is world class. Rhys Webb, Dan Biggar, Ashley Beck, Dan Evans, Keelan Giles who had a breakout season last year are all superb players. Ospreys have signed three astute signings which will increase squad depth. James Hook returns to the club from Gloucester Rugby. Hook has all the skills and attributes; his ability to identify space for line runners is exceptional and with an excellent kicking game from hand and off the tee, the Ospreys have a player who will fit seamlessly into the setup. An astute signing particularly when Wales are international action. The loss of Biggar and potentially Sam Davies is offset by this signing. Cory Allen joins the club from Cardiff Blues. A player who will add squad depth to the three quarters. His pace and try scoring ability are to the fore. An exciting signing and one that will spark good competition for three quarter first team spots with the likes of Beck, Fonotia, Hook (potentially), Ben John and Owen Watkin. Competition for first team spots for sure in the three-quarter unit. Brian Mujati arrives to the club from a spell at Sale Sharks. The South African prop is an excellent set piece operator and should provide stability and experience to a front row unit who at times at the end of the season struggled for form and confidence. Three signings which will add and enhance to the already excellent squad depth. Exciting times for the Ospreys. Several notable departures from the club. Sam Underhill leaves for Bath Rugby. Tom O’Flaherty moves to Exeter Chiefs. Josh Matavesi departs for Newcastle Falcons while Joe Bearman has gone to Merthyr. Tyler Ardron makes the move to the Chiefs in New Zealand while Tom Grabham makes the move to the Scarlets. Dan Suter was released. Several high quality players making moves away from the Ospreys. This squad is well equipped to yet again be at the business end of the Pro 14 season. A key match-up against Munster in the third round of the tournament could be a key indicator of how the Welsh region will fare. Ospreys’ summer arrivals will all enhance the existing squad and the experience of Hook and Mujati in particular will be a valuable asset at the business end of the season. Cory Allen is a signing of immense potential, will be interesting to see how the player goes. Ospreys are definitely a top three conference team. The question is can the Ospreys produce their best form to the business end of the season? If they can, then they will be a tough opponent for anyone. Scarlets arrive into the new season with confidence. A sensational Pro 12 league triumph where the team took apart all challenges at the business end of the season. Emphatic wins against Ospreys, Leinster and Munster showcased Scarlets in all facets of play. Defensively abrasive, quality breakdown work and expansive back play when opportunities arose. They were the complete package in the league last season. Deserving champions. A new season. Scarlets management’s objective was to identify a replacement for the Saracens bound Liam Williams. Mission accomplished with the surprise signing of Leigh Halfpenny, a player who most people would resign back to the Cardiff Blues. A superb player to acquire; Halfpenny will have plenty to prove after a disappointing Lions tour. He has all the skill traits and his penalty kicking will be a valuable weapon for the Scarlet in both domestic and European competition. Paul Asquith and Tom Prydie join the club to bolster the back line after the departures of Liam Williams and D.T.H van der Merwe to Saracens and Newcastle Falcons respectively. Geraint Rhys Jones will look to increase competition in the back line with his move from the Dragons. Tom Grabham and Morgan Williams are unknown quantities from my perspective so it will be interesting to see if both players can make their way to the first team. Liam Williams looked a massive loss but is somewhat offset by the acquisition of Leigh Halfpenny. D.T.H. van der Merwe moves to Newcastle Falcons, a consistent performer on the wing who can create tries from nothing. Stef Evans was a revelation last season and should continue that rich vain in form. Peter Edwards, Richard Smith, Morgan Allen have moved into the Welsh club scene while Aled Thomas has retired. Gareth Owens make the move to Leicester Tigers and Rynier Bernardo was released. A squad who will grow massively from last season. Their ERC campaign was noteworthy for their competitive performances against Saracens and Toulon. The aim this season is to secure a top three conference place; given the squad depth, think this is achievement. Tadhg Beirne, James and Jonathan Davies, Jake Ball, Ken Owens, Samson Lee, John Barclay, Scott Williams; incredible options at the region’s disposal. Scarlets will realize quite quickly that they will be shot at given their champions status but the squad should be strong enough. They are the side to beat this season. Exciting times at Scarlets!